Land exists to grow food, right? Why ELSE would you own it? I love cats. I really do. I have two of my own rescue fuzzits to prove it. But I do NOT love them in the garden. And as much as I take good care to give my own furry friends their yard time safely away from the veggies, other neighborhood cats (and even skunks) will find their way in. When they started digging this spring, and leaving their little “presents”, I started thinking hard for a safe, friendly, EASY solution. Last summer, before getting the winter greenhouse ready, we finished landscaping the yard into my new summer happy-place. Raised beds throughout, pea-gravel pathways, and space for fruit trees the next season. I was excited to plant but knew I did not have enough season left for anything other than a couple quick crops. So I planted, and did enjoy a few refreshing snow peas and some early bush beans. But in planting, I realized all my planting experience was in the traditional rows. These were fine in my old tilled ground, but in the raised beds it felt like I was wasting WAY too much space. 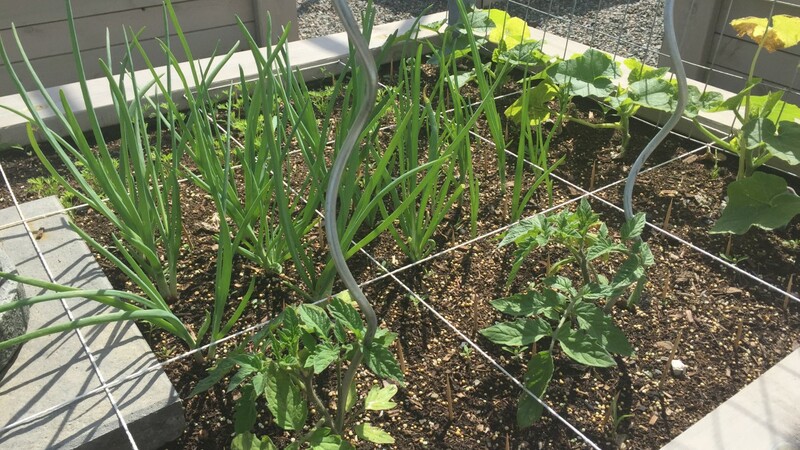 Short little rows limited by the bed sizes, lots of thinning wasted seedlings, and so much dead space between that I had to weed but got nothing from. 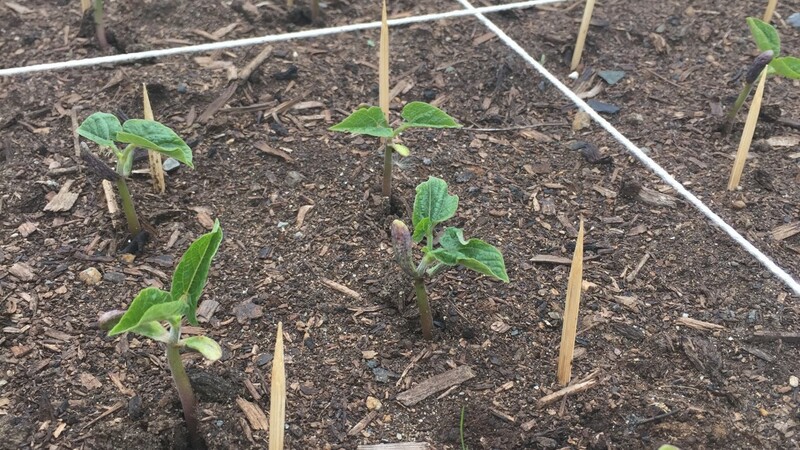 Which prompted me to start looking into what other people were doing in their raised beds. I loved the height of the beds and how clean they were, but why did the Pinterest photos look big and lush and full, and mine were…well…not? After a long couple years of planning and building, magic happened at the end of October 2014. 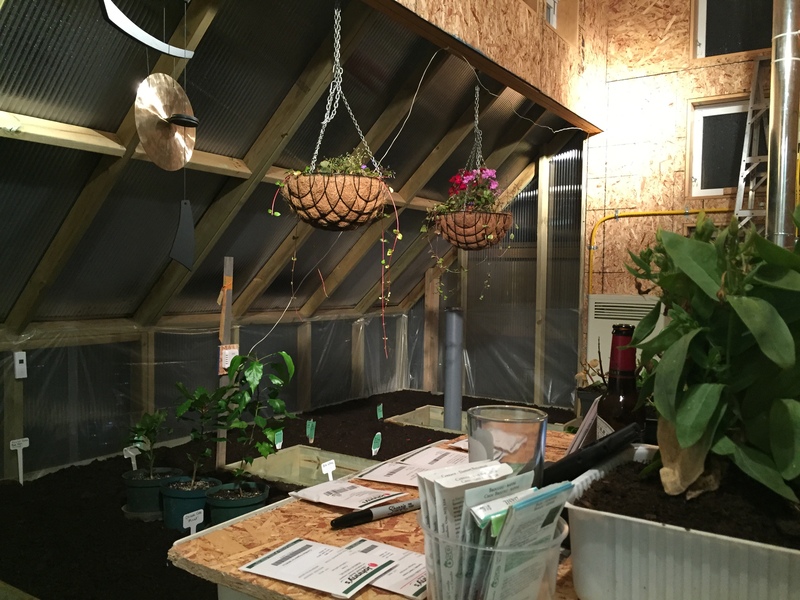 The first seeds were planted in the raised beds of my experimental all-season urban greenhouse. It’s a bit of an understatement to say I was excited. It was like Christmas morning as a kid amplified about ten times. 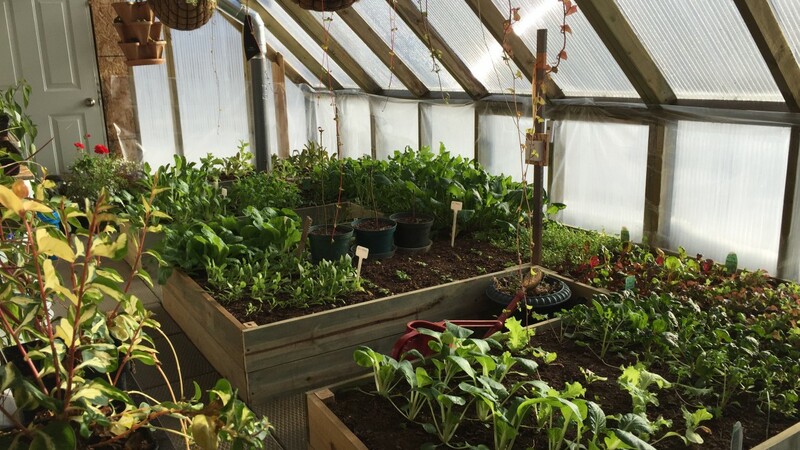 In a nutshell, all-season food production in a northern urban yard, and sharing that information to inspire and encourage great folks like yourself to grow food in this harsh climate. How I am going about this is by converting my urban yard into a mix of relaxing/entertaining space, some grass, a large number of raised beds, a micro-orchard and an experimental all-season greenhouse that will hopefully work in both winter and summer to keep a continuous supply of fresh greens and produce available. And I hope to accomplish this with a minimal amount of resources (ie, minimal heat and no supplemental lighting, as well as rain barrels through summer and year-round composting). What I am not trying to accomplish is commercial food production. 1-2 households would be a great outcome in my mind, and if there are extras to share, BONUS! Often, thoughts of indoor gardens include the (incorrect) visions of dirt and mess, or something aesthetically unapealling or unmanageable. Although it’s readily agreed that fresh salad and herbs in your home or kitchen is a great idea, so many people pass up on having these even when they learn how easy they are, because of these sad misconceptions. 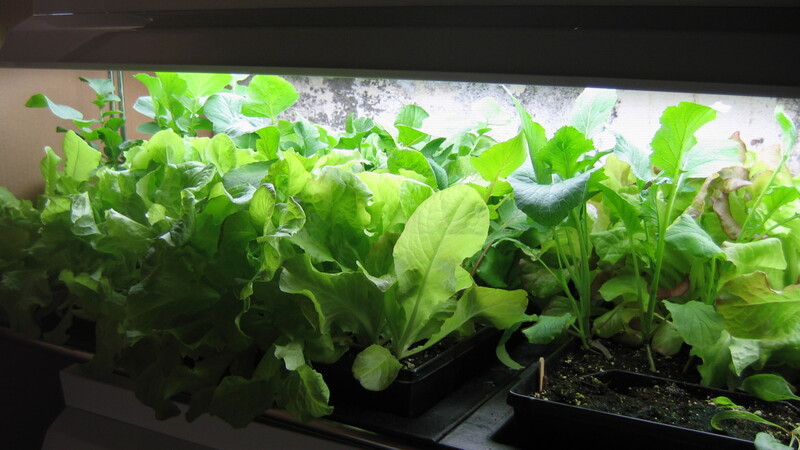 In my previous post “Growing a Winter Indoor Salad Garden – The Basics“, I went over what the essentials are for growing your own delicious greens indoors. Yes, plants do require soil to a certain degree, but shallow rooted plants do not require anything deeper than a few inches, and if you move to hydroponics most of the soil requirement disappears. 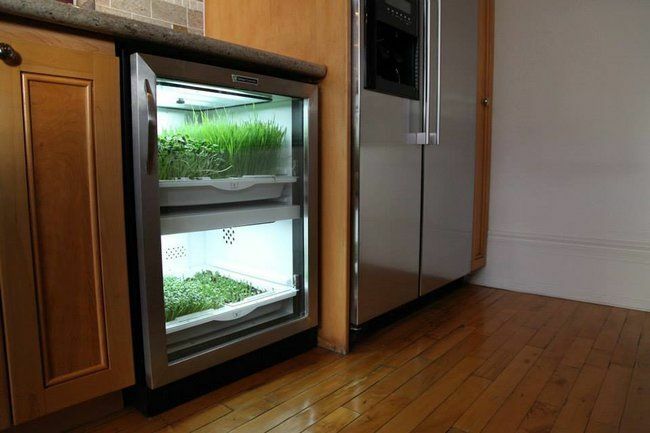 Do you have to plan your indoor garden into renovations? No. Only if you want to, or have grand ideas (which I’m a huge fan of, but you should probably start small). Nothing quite like a fresh salad or greens, crispy and bursting with flavor, straight from your own garden. But it’s really hard to get those when it’s -20C outside and the garden is under a few feet of snow. Right? Most of what you need to know you probably learned in elementary school. Plants haven’t really changed, so you’re already a bit of an expert. Pat on the back! I have always had an interest in sustainability. But if I’m honest with myself I suppose the root of my inspiration was very, very simple. – Lettuce I was buying at the store tasted like water, and it got even worse in winter. From this simple bit the inspiration grew until I HAD to have better.